Kitchen design trends continue to support the evolution of this room from a once simply functional work space to what is now a thoughtfully designed living space. Concepts are more open, casual seating is more prevalent, and design elements bear more resemblance to adjacent living spaces. With the help of interior designers, Linda Mazur, Laura Hay and Dvira Ovadia, we’re bringing you top kitchen design trends for 2017. Open concept remains the ultimate choice in kitchen design, with comfort and livability being a main focus. 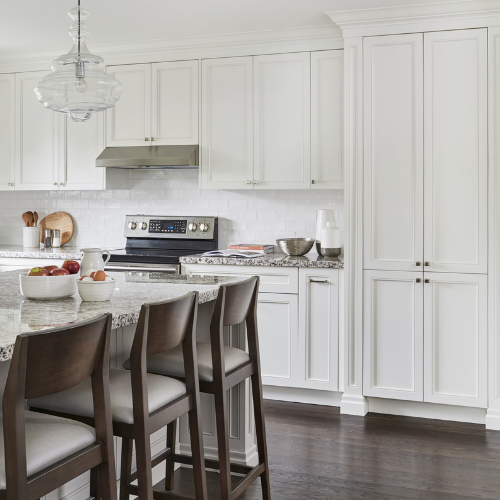 Large islands, now a staple, accommodate every day activities and casual dining for the family, as well as provide a secondary work space when entertaining a larger crowd. Functionality, of course, is still a necessity, and is satisfied with cabinetry that’s taller and increasingly more customized. In cabinetry, we will continue to see the seamless integration of appliances and simplistic hardware allowing beautiful millwork finishes to take the spotlight. Mid-tone, wire-brushed wood finishes will be popular, as will matte black, as either a stand-alone finish or paired with contrasting white. Additionally, designers will be utilizing multiple cabinet finishes, as well as mixing metals in plumbing and hardware. Farmhouse sinks will continue to be popular among consumers, while back splashes will be moving away from subway tile toward eye-catching herringbone, mosaic and natural stone designs. In countertops, expect to see less granite and more quartz, marble and butcher bock materials. For flooring, hardwood will continue to be used more and more - a result of the kitchen becoming an extension of the main living spaces within homes. Engineered hardwood, luxury vinyl and laminate options are offering homeowners beautiful wood visuals in a product that’s durable, water-resistant and comfortable underfoot. Hardwood and wood visuals will continue to remain popular into 2017, with wide-plank, low-luster styles with gray undertones taking the lead. In addition to hardwood, tile and luxury vinyl tile in matte and texturally rich finishes will begin emerging along with terra cotta and polished concrete looks. Linda Mazur is the Principal Designer of Linda Mazur Design Group. 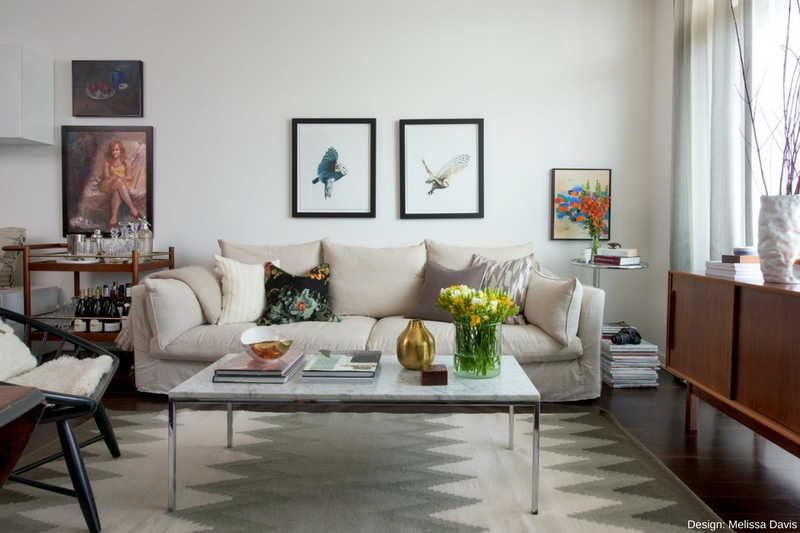 Laura Hay is the principal designer of Laura Hay Décor & Design. Dvira Ovadia is the principal designer of Dvira Interiors.